Featuring an entirely new Digital Traffic navigation system based on the DAB radio network, the Garmin Nuvi 3598LMT has been stylishly revamped and comes with a new mount system. The sat nav does come with Real Directions for more natural instructions, fast and accurate digital traffic service and Lifetime map updates, hands-free calls, Live capability and speed camera alerts among others making it a premium sat nav to own. It comes with a 5.0″ high resolution display with “pinch and zoom” capability to enable you quickly access onscreen information. With dual-orientation capabilities, you can utilize the unit either vertically or horizontally. It comes loaded with detailed maps of Europe featuring 3D landmarks and terrain. It does come with preloaded POIs. Also available are free lifetime updates to help ensure that the routes utilized are reflective of the most up-to-date maps, navigation information and POIs (points of interest). With no additional fees, new maps are available for download up to 4 times per year, for the life of the device. 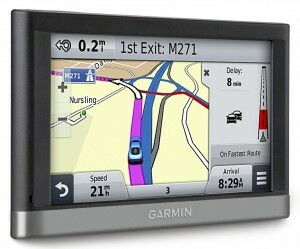 The Garmin Digital Traffic is not only fast and accurate but it is free! It is capable of providing accurate and continuous updates on the super-fast digital network. This means that you are able to know of any incidents, queues or delays ahead of time and proceed to utilize the simple directions for alternative routes. The Nuvi 3598LMT enables you keep an eye out for the latest speed cameras. This is made possible thanks to the Cyclops Speed Camera system utilized by Garmin. The sat nav comes preloaded with the full safety camera database with the option of getting regular or one-off updates to enable you have the latest camera locations for a safe and legal drive. The sat nav comes with voice-activated navigation to enable you drive with both hands on the wheel. Aside from the power of your voice, you can also utilize the touchscreen interface that comes with the device. 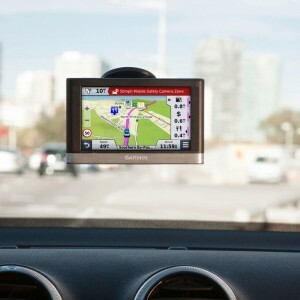 With Garmin’s unique Real Navigation, you are able to drive to your destination under the guidance of Real Directions that make use of recognizable landmarks, traffic lights or buildings. With this feature, you not only get realistic images of road signs but also a more natural sounding voice. By way of an integrated microphone and speaker, you can utilize this sat nav for hand-sfree calling. This can be done when you sync the sat nav to a Bluetooth-enabled phone. This is especially useful in keeping your eyes on the road and your hands on the wheels while you drive. In addition, the Active Lane Guidance feature that comes with the Garmin 3598LMT ensures that you have clear guidance on the road that you can see and hear. Drive with confidence through an exit or junction with the animated models that utilize brightly colored arrows to indicate the proper lane needed for your route in addition to a friendly voice that provides further help. You are able to utilize the photoReal junction view which displays junctions and road changes along your route in a realistic maner, complete with road signs and the surrounding landscape. 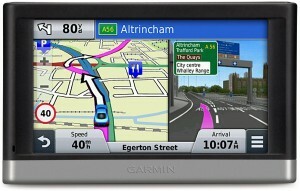 In the case of complicated junctions, the sat nav can make use of the Bird’s Eye junction view to provide a detailed ariel picture of the road network.